Guitarist for Viking thrashers ‘Demise Of Sanity’ from the Channel Islands. 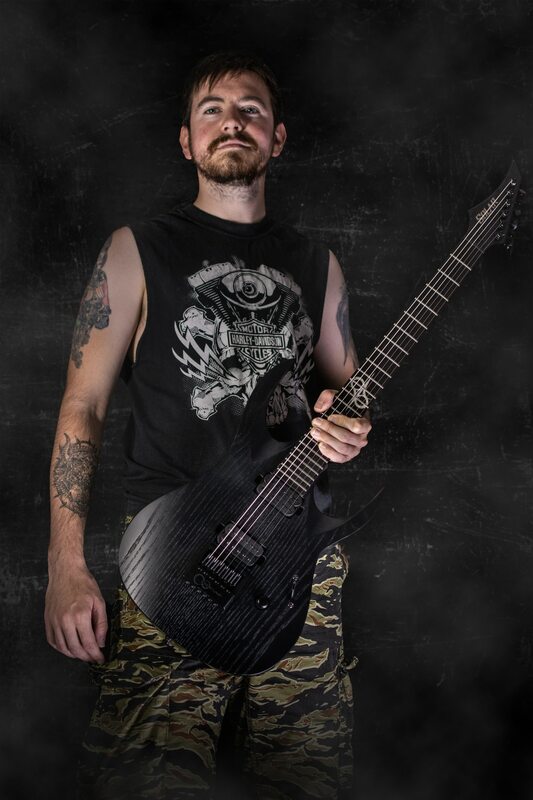 Yannick is influenced by guitarists such as: James Hetfield, Kirk Hammett, Brent Hinds, Bill Kelliher and Scott Ian. Yannick is passionate about writing thrash driven songs, specializing in crushing riffs and speedy solos. As like his counterpart in Demise (Sam Delanoe) the band is his main focus. Demise Of Sanity’s latest record: ‘Nine Realms’ was all recorded with Solar Guitars.